When selecting the perfect new scoreboard for your school grounds there is no substitute for quality. We believe LED scoreboards that are Australian-made are an important investment for schools as sport is a big part of students’ passion and growth. The importance of sport encompasses more than just physical activity it develops mental growth and teaches life skills such as team work, leadership, and patience. Electronic scoreboards increase the fairness and atmosphere surrounding gameplay for students, staff and parents, encouraging participation and the sporting community. The user-friendly components can be tailored to different sports, ranging from basketball, rugby or cricket to multi-sport, and the customisation allows buyers to tailor their scoreboards with logos LEDs in their school colours. Developments in school sporting technology mean units now provide high-resolution displays, with the option of either a computer-based or hand-held wireless controller – with most remotes having the ability to reach over 200 metres, requiring only a power source to the board itself. It is also important to ensure the scoreboard controller is easy to use, as you don’t want to train new people every sports game. Many buyers choose to purchase overseas-made scoreboards due to the insubstantial price difference, however purchasing Australian-made products ensures construction knowledge and maintenance facilities are easily accessible for quick and reliable servicing of equipment. Australian made ensures quality sourcing of scoreboard components and LEDs. Schools should opt to buy high quality displays ensuring vibrant visibility in the harsh Australian sun during the day. Quality LEDs will stay vibrant throughout their lifespan of around 50,000 hours, compared to cheaper comparisons with components that deteriorate quickly in the harsh Australian climate. One of the initial roadblocks for prospective buyers is cost; schools may ask for government grants or alternatively ask for sponsorship from local businesses in return for signage or display advertisement. 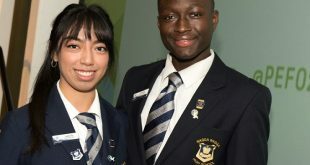 This can increase the community support for the schools sporting community and give the students greater support in the future. There are many things to consider when buying the perfect scoreboard to suit your facilities. Any scoreboard can be easily mounted on the side of a building or free standing in a customized frame of your design. It is important to first consult an engineer and electrician to ensure your ideal location is suitable for the board’s function. With the growing range of scoreboards customised to different sports and areas of installation, it is important to consider the size of the display appropriate for viewing. 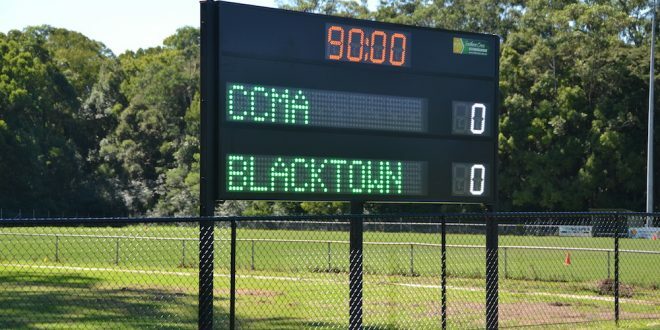 The wrong size scoreboard for the space is one of the most common mistakes, with sizes often ranging from 100 – 380mm character displays. For example, a basketball court will only require a 100mm-150mm high character display board, which can be viewed up to 50m-100m away however for a viewing area the length of a rugby field, buyers would need a board with 300mm display or bigger. To ensure 100 percent viewing angle, we recommend placement opposite the spectators and enough height from the ground to avoid damage. Additionally, due to the Australian climate, we suggest sourcing a waterproof scoreboard with quality aluminium as it resists corrosion. Heavy gauge polycarbonate windows enable protection from sporting equipment and vandalism and can be easily replace if damaged. Article written by Bronte-Lee Brook, Southern Cross Scoreboards.